L ovely weekend we’re having after Groundhog day. Actually, I missed it but then again, if I don’t see anything white falling from the sky and onto the ground, I always celebrate hahahahaha. Well, I have found an awesome vid for us to reflect on what it is that makes us feel connected to God in our walk. 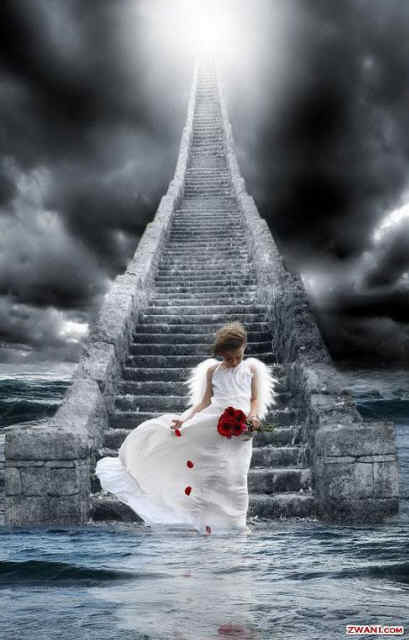 If you look at your present life and look back on how it was like without Him (Jesus) and then look at how it is now with Him, ask yourself, who is ordering your steps as of this moment? 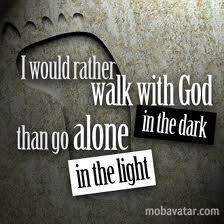 Are you still walking alone like you did without God even after finding Him? 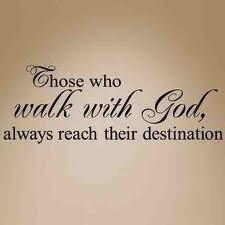 or are you Walking with Him knowing that where He leads you is the best place for you to Go? Place your trust in Him and walk with Him, Remain in Him and feel Connected to the One that leads you to your Destiny in this life. Those who are walking alone even after finding out about the Lord need to understand that you need to put your trust in Him if you want to walk with Him. You have to agree to Trust in the Lord with all your heart and lean not unto your own understanding, and in all your ways acknowledge Him, and He will direct your path (Proverbs 3:4-6). Allow Jesus to be the center of your life from here on out, because He is the Beginning and the End in your life forevermore. Have an Amazing weekend everyone and stay Blessed! I have included an Amazing Song by Israel Houghton sung with Hillsongs from Australia called Jesus be the Center. I hope in ministers to you today. ← Setting Our Priorities in Order: Isn’t it Strange???? Keep up the good work. I love this so much! Enough to reflect on! A fabulous blog. So much inspiration and so much to read and watch. Thank you! Thanks sis Sherline for your encouragement. Your wise words are highly appreciated. I love your advice here and agree with it fully. I have so much work to do in this area. Sometimes I think I’m crazy because I know the key to happiness is putting it all on Him and just surrendering myself. Why does it feel like a large step to take? My attachment to my human condition is like a comfort zone I think and I don’t understand it. Anyway, I’m blessed for all those in my life that are there and willing to help. Also, I’m blessed with abundant inspirational resources on the web such as your blog. Thanks for your dedication and efforts here! I totally understand what you mean Scott. There are several areas where I find myself questioning “why I can’t seem to put total trust in Him (the Lord)?” because I’m such a go-getter that I like doing things “my way”, but ultimately, “my way” almost doesn’t work to the fullest of its potential and I always wonder what could have been the end result had I put my total trust in the Lord? People lend a great strength in these areas and God plants them in your lives as Divine connections to help us get to the place we need to be. The thing that people need to understand is that they aren’t meant to be going through their journey alone. God is with you and He can use people to show you the way to reach your destiny and maximize on your hidden potential that is just waiting ot birth out into its fullness. We just gotta learn to Trust that that is His plan in our life. I’m still working on this “trust” thing on my own journey and have found it to be a constant up and down journey, but be encouraged and know, that even when you don’t have as much faith as you would like to have, God always has Faith in You. P.S. I love both of your blogs too Scott! You Inspire me so much to get my writing in order lol. Walking with God in the dark carries the benefit of being given our very own internal lamp with a flame of love that never goes out! Absolutely agree with you on this. May my flame never go out! Amen. Thanks for this “connected” post, Sherline! “…lean not unto your own understanding, and in all your ways acknowledge Him, and He will direct your path.” I couldn’t agree more. It’s never about us. God help us realize that it is futile to fight you when you need to have your way.